Grand Canyon University online professor John Steele was selected as an online professor to be recognized during Online Student Night along with three online students. 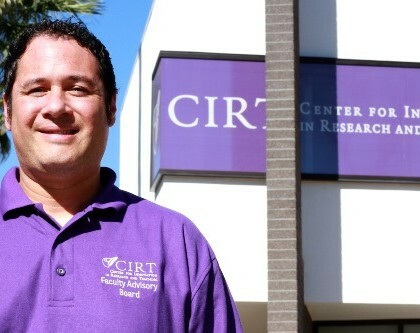 Steele has developed a way to improve GCU online education as part of the CIRT Advisory Board and the Plagiarism Task Force. He is praised by peers and students for his intrinsic dedication to student success. GCU nursing student Jessica Smith endured more heartache last year than many of us will experience in a lifetime, never mind the challenges she’s faced since graduating from high school. And yet Smith, who with two other students and a faculty member will be honored by GCU at Online Student Night Saturday, said her blessings and the miraculous kindnesses of others are too many to count. Gary Skinner didn’t jump right into college out of high school. 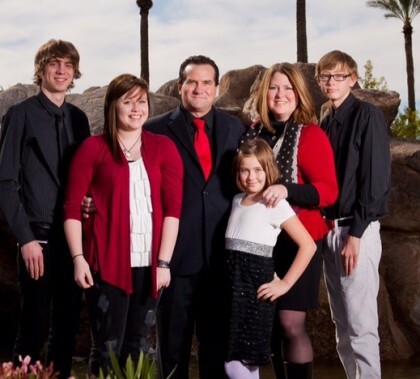 He created his own businesses and fought through some serious health issues, including one that led him to become blind before finding his way into GCU’s online psychology program. 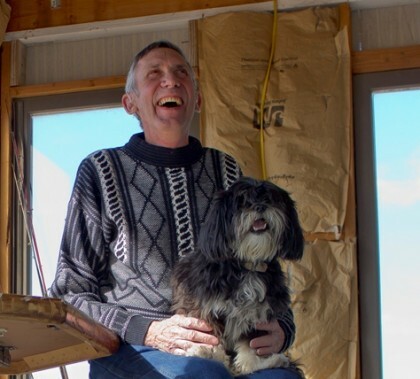 Now, at 63, he is soon to be equipped with a bachelor’s degree that could lead him into a counseling career. The number of entries in the Canyon Challenge was up this year, and so was the quality, according to Tim Kelley, assistant professor of entrepreneurship and economics in the Colangelo College of Business. The 10 finalists will be pared to five early next month for the March 24 finals in GCU Arena. 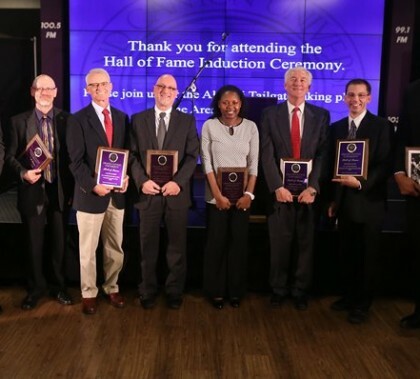 Saturday’s celebration of the eight newest members of the GCU Alumni Hall of Fame featured passionate speeches, none more emotional than that of Michael Kary, who teaches in the College of Fine Arts and Production. But all eight had something important to say. The Colangelo College of Business is getting more students than ever into internships, and an important aspect of the message is that they don’t necessarily have to find the perfect one. Sometimes, even a bad internship experience can be good. Derek Turner, a graduate of Columbia University, told Colangelo College of Business students Friday how he turned a fellowship with Venture for America into a great opportunity with a startup company — and how they could do the same thing. CCOB Dean Dr. Randy Gibb wanted to make students aware of a program that fits in perfectly with the college’s entrepreneurial spirit. Three expert communicators have been invited to share their insights at Grand Canyon University this month. The Lambda Pi Eta communications honors society is hosting scholars Drs. Douglas Kelley and Loren Schwarzwalter on Tuesday at 7 p.m. in the Colangelo College of Business lecture hall for a presentation related to human deception and forgiveness. On Feb. 20, search engine optimization writer Dr. Nicholas White is slated to speak at 11:15 a.m. at Room 139-140 in CAS (Building 6). 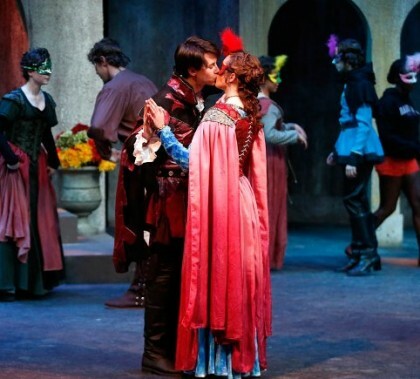 Nothing says Valentine’s Day quite like roses, dark chocolate and William Shakespeare’s “Romeo and Juliet.” You’re on your own for the first two, but GCU’s College of Fine Arts and Production happens to be presenting the romantic tragedy this weekend and next in Ethington Theatre. GCU Today has a preview of a show you don’t want to miss and a peek at the actors, set and costumes in this slideshow. BYOKleenex.